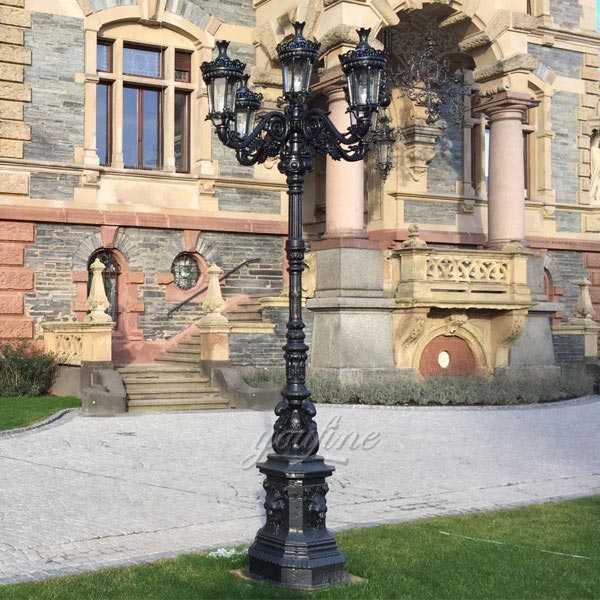 Our quality cast iron lamp posts stand above 7 feet high. 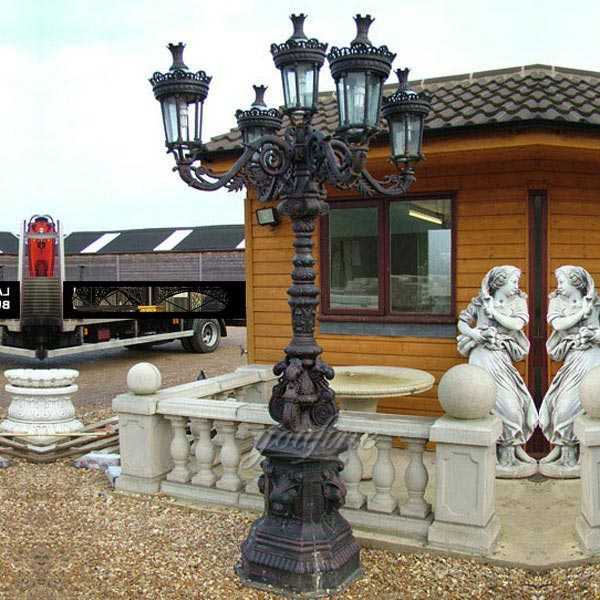 This post is decorated with fine pure bronze lanterns, carved by hand, highly polished and then coated with light paint. The series is designed for lanes and gardens, with a 60-watt warm white light bulb that provides 10 feet to 20 feet of ambient light coverage. The lantern is pre-installed with a matching brass bulb bracket and is ready to be installed. 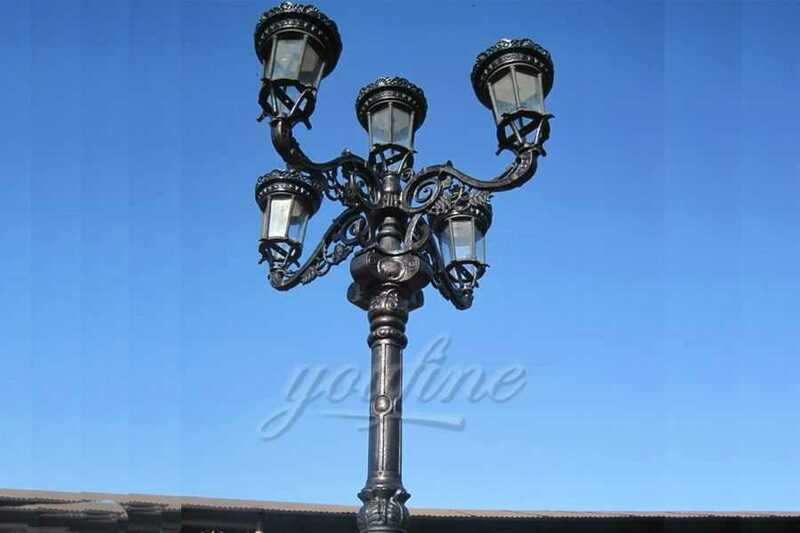 If necessary, the lamp post is characterized by a detachable inspection panel. 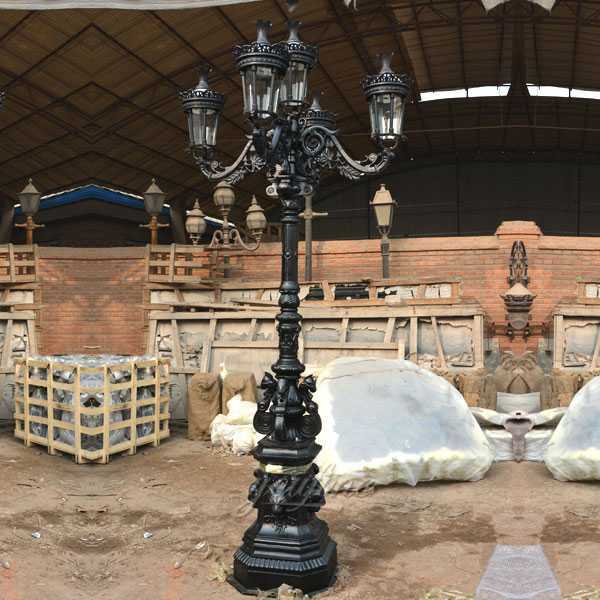 All the lamp posts are fitted with a mounting kit, including masonry bolts. Also includes a ten-year structural guarantee. 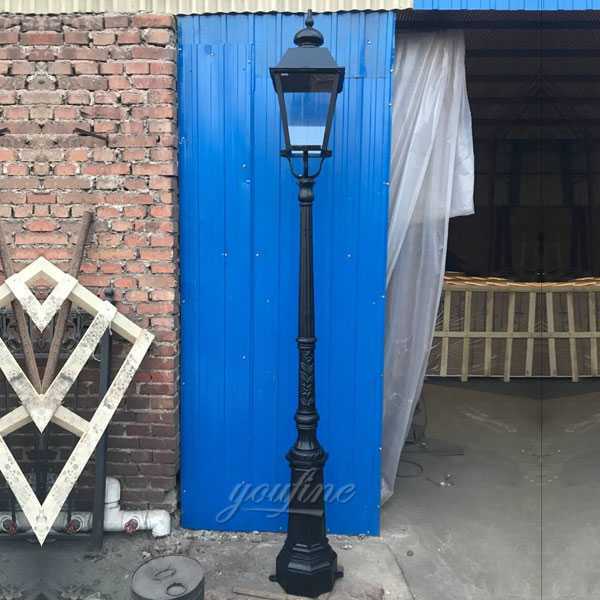 The base is manufactured from a solid section of iron, the pole is forged from a piece of thick rolled steel and the lantern is hand sculpted from sheet steel. The hexagonal shaped lamp is a testament to the skill of our metal craftsman, not to be confused with cheap light aluminium alternatives. Please note we always recommend a qualified electrician or trades person is used for Lamp Post installation. Recommendations are subject to modifications due to individual circumstances, such as ground type and exposure etc. 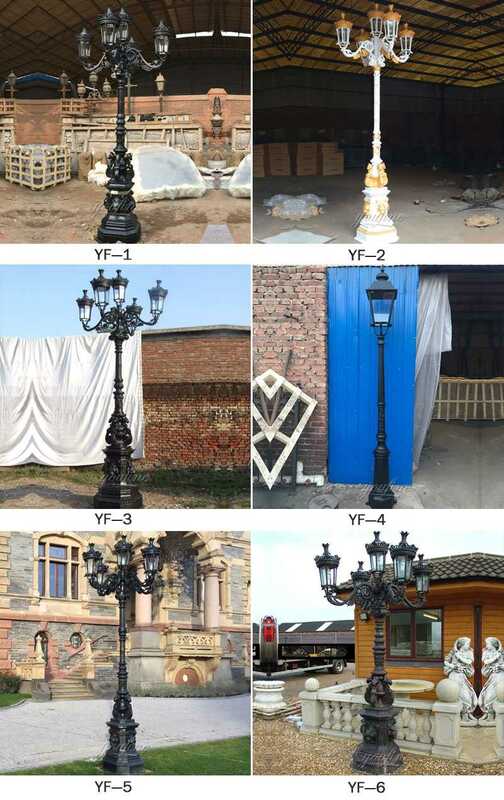 The viability of the lamp post and location must be assessed by a qualified professional ensuring it is suitable, making necessary modifications to the location or lamp post where required.